Words by Sydney Rosenfeld. Music by Ludwig Englaender. This merry, this moving, this marvelous throng? That fills us And thrills us us we walk on Broadway. The "Corso" of Rome, that can dazzle the sight. 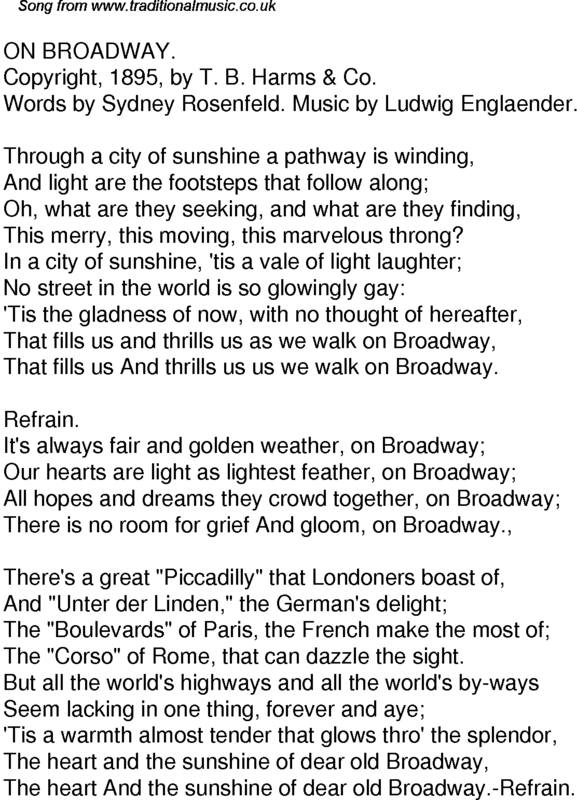 The heart And the sunshine of dear old Broadway.-Refrain.